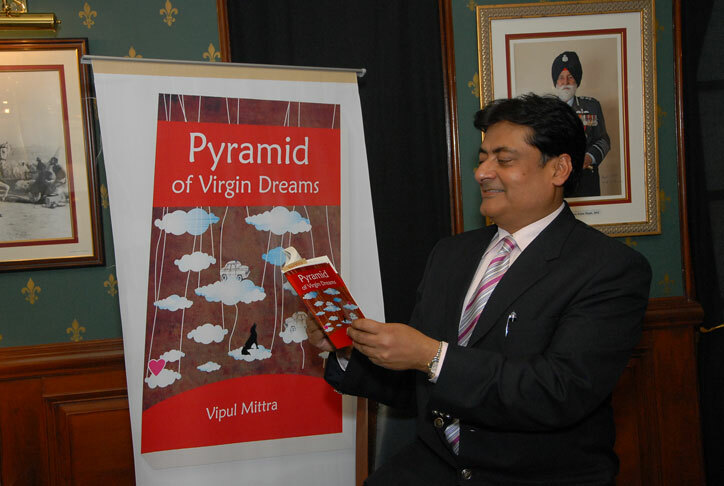 WITH Pyramid of Virgin Dreams yet another IAS officer Vipul Mittra has turned writer. Mittra, a 1986 batch Gujarat cadre IAS and secretary of tourism under the state industry department, has come out with a fiction presenting a glimpse into the world of promotions, hierarchies, fawning subordinates etc. The Pyramid of Virgin Dreams is his maiden book, published by Rupa. Mittra has now joined the elite club of bureaucrats like 1995 batch Orissa cadre IAS Bishnupada Sethi and 1981 batch Indian Foreign Service officer Amarendra Khatua, who are also known as poets and writers in corridors of power. “Pyramid of Virgin Dreams is a refreshingly original rendition of the slippery life in the bureaucracy. The book is spunky and replete with comical imageries drawn from a farcical, albeit hopeful India,” says the author’s own site. A post graduate in industrial relations, 47-year old Mittra originally hails from Punjab and has served both under Central government and state departments. Only over a year ago, the government allowed IAS officers to include up to 10 entries of their published books, awards etc. in ER Sheets or official bio-data. As expected, Uttar Pradesh government has shifted out principal secretary food JN Chamber out of Lucknow. Chamber has been transferred to Allahabad as member, Revenue Board and Nakul Singh, member Judicial Revenue Board, Allahabad will move to Lucknow in place of Chamber. Chamber’s daughter Disha Chamber, who was BSP youth leader, was recently asked to resign from the party. Various NGOs of Bihar set up over 60 stalls for the sale of items like papad, cookies, artificial jewellery etc. during a charity fest, Saras Basant , organised by the Bihar IAS Officers Wives Association at IAS Bhawan in Patna on Sunday. A number of food stalls and games stalls for kids were put up during the fest. The event was inaugurated by Jiwan Nath Narayan, chief general manager of SBI, Bihar. Is he the same Mittra who resigned from IAS a few years ago and was later forced to withdraw the resignation letter? If I am correct, Mittra and Jayant Piramal resigned because they were not happy with their postings, but Mittra later withdrew his papers.